Book your excursion, tailor made to the needs of your group or family. Combine the sites, places or activities that you wish to include in your ideal day – tour and let us handle the details. If you are interested for a more complete and fulfilling experience on the beautiful island of Crete then choose an excursion that meets your expectations. 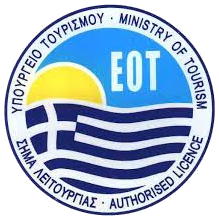 We are presenting only some of the programs that can be organized on Crete. Send us a request of the sites you wish to visit and we can plan an excursion for you and your friends. Tailor made tours is the main purpose of our company. We plan and execute tours and programs with high standards and personalized service…. Our company can organize tailor made tours and excursions for individuals, families, small or larger groups. Crete is the largest island of Greece and can offer a variety of programs – excursions to meet the expectations of the experienced visitors with high standards. We offer a different approach: No mass tourism – not what the others will do, avoid the crowds and get a more fulfilling experience. Make the proper arrangements to get the best services. Whether it’s a family or a small group we will plan the ideal excursion, out of the ordinary, to see more and do more in a day. If you don’t have transportation, we can arrange for you a rented car at the desired meeting point, a mini van, a small bus (up to 18 seats) or a normal bus (51 up to 61 seats). Tailor made tours with high standards and a personalized approach. Chauffeur Service combined with a professional licensed guide, to get the most of your day. Tours – Transfers, with our company vehicles (if you intend to relocate on the island and wish to visit the sites, the cities or the villages along the way). Excursions and programs off the beaten path to avoid the crowds. Skip the line entrance, in the archaeological sites that you will include in your day tours.